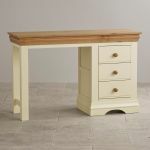 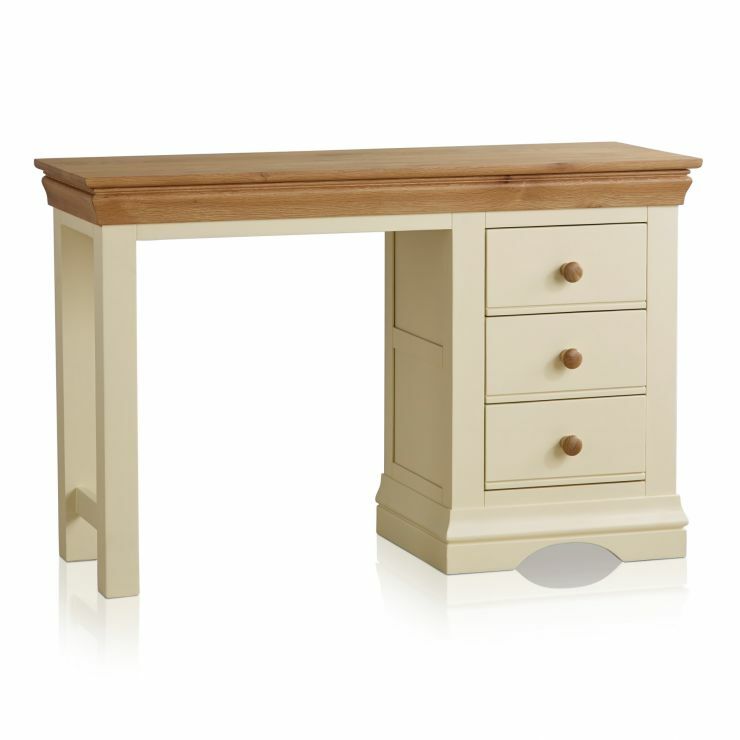 The Country Cottage Natural Oak and Painted Dressing Table represents our contemporary take on a classic French design. 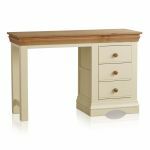 Handcrafted by skilled woodworkers from the finest cuts of solid hardwood, it's characterised by elegantly flared cornices, an arched base and quality drop-bar ironmongery. 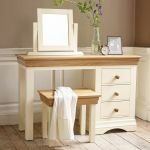 As with all items from our Country Cottage Natural Oak and Painted collection, the dressing table features a distinctive cream painted finish which contrasts beautifully with the natural solid oak top. 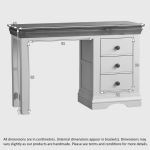 Designed to be functional as well as stylish, the table offers three generously-sized drawers which are perfect for keeping the spacious top clutter-free. 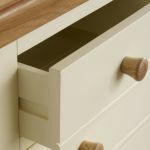 To meet our exacting standards, each drawer is made using traditional dovetail joints for exceptional strength and durability. 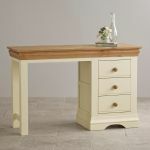 Browse the rest of this French inspired furniture collection to discover matching items for every room in your home.